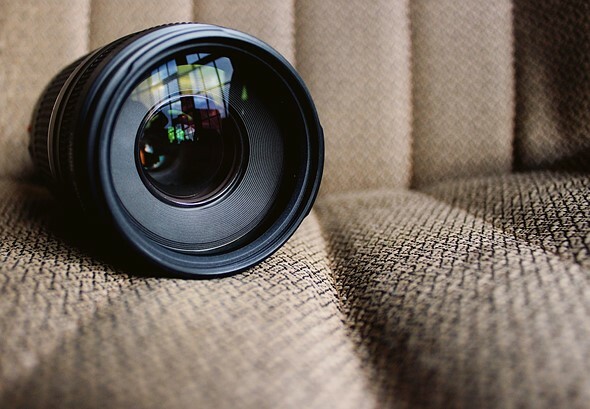 If you’re having trouble deciding what lens to buy next, and diving into the technical details isn’t helping (we have no idea what that’s like… but we hear it happens), a simple web tool called What the Lens might be able to help. Created by photographer Willie Chik, the tool reveals your lens preference by having you pick your favorite photos from a gallery. 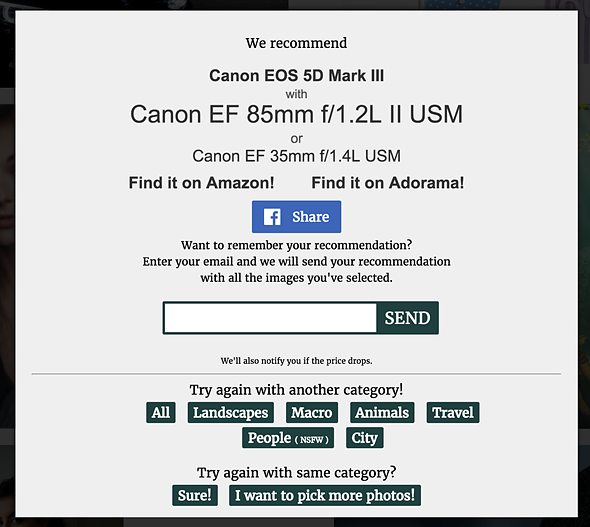 The site pulls images from 500px, automatically sorting them by brand—so you can use What the Lens to find your favorite Canon, Nikon, Fuji, Sony FE, Sony A, Olympus, or Panasonic lens. Then, once you’ve selected your brand, you can further break down the gallery by category—selecting either Landscapes, Macro, Animals, Travel, People, and City. Of course, we prefer a more technical approach here at DPReview… one that’s not liable to be skewed by your post-processing preference, what kind of landscapes you like best, or the variety of other issues that come up when you really start to think about this tool as a buying guide. But if you’re looking for a simple and possibly even fun way to determine what lens deserves to go next on your to-buy list, What the Lens might be worth a go. Just be careful with the “People” category… that one can get a bit not safe for work (NSFW).